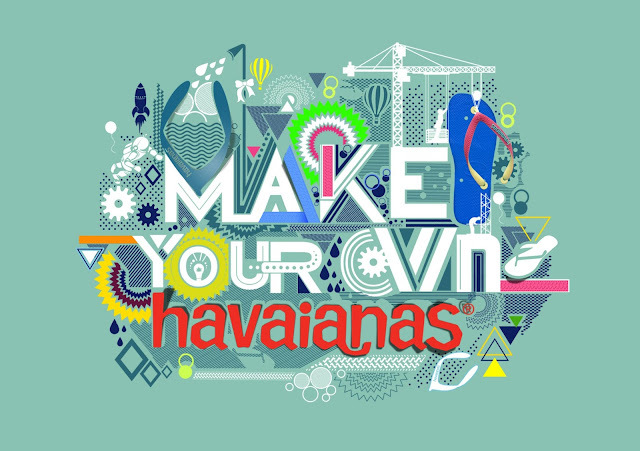 Are you craving for a new pair of Havaianas from this yearly Make Your Own Havaianas event? Then here, here, the wait is over! On July 18-21, 2013 ( Thursday to Sunday ), Havaianas Philippines is proud to present Make Your Own Havaianas Cebu with a more colorful and mix of straps, soles and different exciting pins at the SM City Cebu Northwing from 10 AM to 8-9 PM. Make Your Own Havaianas Cebu 2013 is a special event as it collaborates with our very own Filipino Illustrator, Dan Matutina with a new and first ever Glow In the Dark Commemorative Pair. In his design, he was thinking of exploration and fit in spacemen. Yes, that's right, spacemen theme!! Isn't it cool?? This piece of art flip flop is available in carbon blue sole, features spacemen with space markers connecting the stars to form images - this is what Havaianas aim, to enables everybody's creativity and imagination.